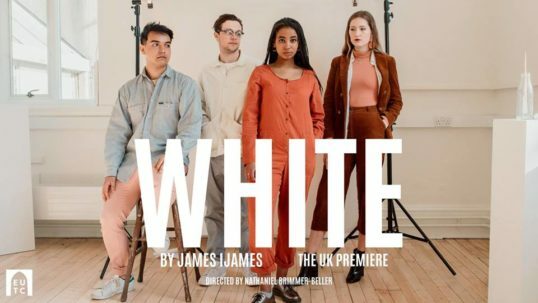 This weekend the EUTC is leaving its Bedlam home for a short break at St Cecelia’s Hall where it is presenting the UK premiere of James IJames’ “truly disruptive” play, White. Ijames based his script on a real incident at the 2014 Whitney Biennial Exhibition of Contemporary Art. Joe Scanlan, a white artist, created work with a fictional persona, an African-American woman named Donelle Woolford. Scanlan then hired African-American actresses to perform as Woolford and present his art as their own. This weekend’s UK premiere is directed by Nathaniel Brimmer-Beller, who seems to have spent all his time at Edinburgh university directing and writing productions – and performing in other people’s. “It was a week or so after the 2018 Fringe Festival – I went back to DC, my hometown, for a little break, and chatted to a few friends about what had delighted and irritated me over the last action-packed month. “While the Fringe was overall an electric experience — I’ve enjoyed it every time, especially when putting on a show I’ve written — this one felt odd to me. Mainly because I had found myself seeing, over and over again, a similar act: white men ‘playing’ black women. “Often it was wrapped up in cabaret, drag, or even just comedic acts, but for the first time I noticed that it was… everywhere. White men impersonating Beyonce. White men impersonating Whitney Houston. White men impersonating Janet Jackson. White men impersonating Rihanna. Aretha Franklin. Tina Turner. Missy Elliott. Everywhere! “So, I mentioned this to these friends of mine, and one, who goes to Northwestern University, in Chicago, almost immediately said “we did a play this year that I bet you would like.” And it was White. I found the script, read it, and I know this is quite cliched, but I couldn’t believe my eyes. “I read it again. And sure enough pretty much everything I had been feeling, that had confused, enraged, and intrigued me about this current racial dynamic of society (in the US, the UK, and the Edinburgh student theatre scene…), was in this play. So has that obvious and heartfelt excitement in the script as a discovery continued as you have got to know it and brought it to the stage? “It has! With the subject matter and tone of the script, it just keeps generating excitement the more you read it — excitement and critical thought. “I’d say White is disruptive because it primarily tackles issues that are not often ‘up for debate’ in our society, or at least the one I have moved in. “How have the intersections between gay artists and black artists developed? By extension, how about the dynamic between gay and black people? What aspects of this are unfriendly? Disrespectful? Exploitative? Or harmless? 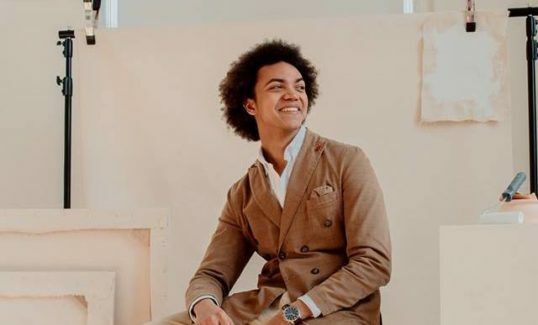 “Has our recent predilection for ‘diversity’ reduced black artists to tokens? What exactly is wrong with that? Have we black artists who go along with it enabled these systems? And crucially, is ‘blackness’ more than a performance in itself? “Many shows, many brilliant shows, have approached issues of racial and sexual ‘liberation’ with remarkable intelligence and innovation, yet I dare say much of the world has moved beyond straightforward messages of equality, unity, et cetera. Many works of ‘art’ or culture have recently been dressed down precisely for revisiting dynamics that seem moot by now. “Obviously, people are equal, racism is bad, homophobia is bad (not to say there aren’t people who still haven’t learned this, unfortunately, but it remains that art feels at its best when it’s forging new ground). To move away from the politics of the piece – or maybe not – you are staging it in St Cecelia’s Hall. Why did you choose this venue? And how the venue has shaped the production? “I was determined to put on something as unconventional as I could while sticking to the dark-comedy tone I’ve always loved. The venue was one of the main things I wanted to be fresh and different. “I’ve directed nine shows at uni so far, White will be my tenth. More than half of these have been at the Bedlam Theatre, and though I love that place deep down, I felt this piece deserved a presentation that was as fresh-feeling as its subject matter. “To perform White in a standard theatre felt too straightforward to me, so I went looking for a whole new place. “Thanks to some generous help from the University’s Festivals Office, I was notified that St. Cecilia’s may be available. “The second I walked in, I knew it would be a fascinating place to put on a play. Its high ceiling, old-but-new furnishings and textures, and stoically establishment feel make it a curious and unexpected landscape for an exploration of modern racial identity. “After the thoroughly enjoyable experience of putting on Technicolor at this year’s PBH Free Fringe, I had somewhat come to enjoy the thrill of putting theatre on in slightly unaccommodating venues — ones where the performers and audience have to stretch the boundaries of typical theatre viewing together. “I personally love the unconventional aspects of St. Cecilia’s, and it has added sharp thematic elements to the show as well; this play is all about looking at people from different angles than we usually do, and the round seating fittingly allows for that. “Not to mention that, once in the room, the audience will not only be encircling the actors, but facing each other as well. 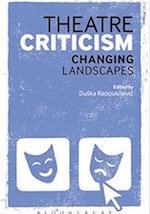 Hopefully offering a chance to re-examine how we societally, and literally, perceive each other, in real-time with the play’s twists and turns. Evenings: 7.30pm; Matinee Sat: 2.30pm.